Robert Kirkman created The Walking Dead. Seth Rogen and Evan Goldberg finally got a Preacher adaptation made. Now, Rogen and Goldberg will be turning Kirkman’s long-running superhero series into a major motion picture for Universal. Debuting in 2003, Invincible stars Mark Grayson, a teenager who learns that his dad is the world’s most powerful superhero and that he too has incredible abilities of his own. Launched with artist Cory Walker who was then followed up by long-tenured Ryan Ottley, the series has been an homage to 1970s/1980s-style approach to metahuman drama fused with updated execution for much of its run. The comic-book series is scheduled to end this year, with issue #144. 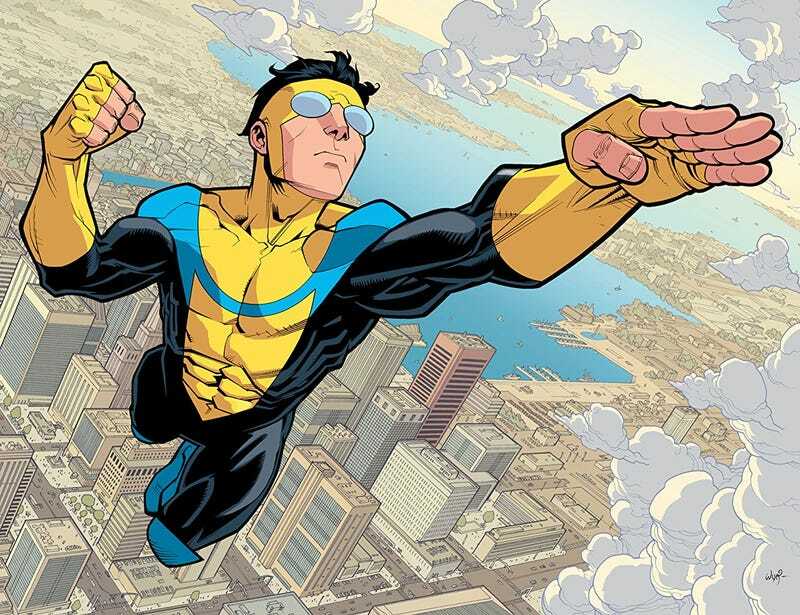 Note: I’ve updated this piece to add mention of artists Cory Walker and Ryan Ottley, who have both been crucial parts of Invincible’s success. I apologize for the omission.